every morning at seven o’clock. Fares there and back 6s. during this tenure that their fifth child was born in 1873[iv]. ‘. . . A new license was granted to Mr John Whitehouse for the Ferry Hotel Porirua. known as London’s Hotel, situated half-way between Porirua and Pahautanui. ‘. . . Thomas Bould applied for a renewal of the license of the Paremata Hotel. It was while the family was at Paremata that Charles William Hensman Bould, aged 15 joined the Wellington Guards as a volunteer in 1889. 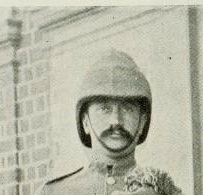 Charles (Chas) William Hensman Bould was living with his father at Johnsonville when, in response to the September 1899 call for troops to go to South Africa, he enlisted in the 1st “The Firsts” Contingent. Men enlisting were only selected from those already members of the New Zealand permanent forces, or like Charles, members of part-time Volunteer Forces. Because of the number volunteering, the strict criteria for selection included both the man’s physical condition and also his ability to ride and shoot. Charles, as a Lance Corporal in the Wellington Guards, meet the requirements and as SA9 Corporal C W H Bould, 1st Company, 1st Contingent he sailed from Wellington, on 21st October 1899, for South Africa. Also sailing with 1st Contingent was SA137 Private Joseph (Joe) Louis Gestro from Paremata. 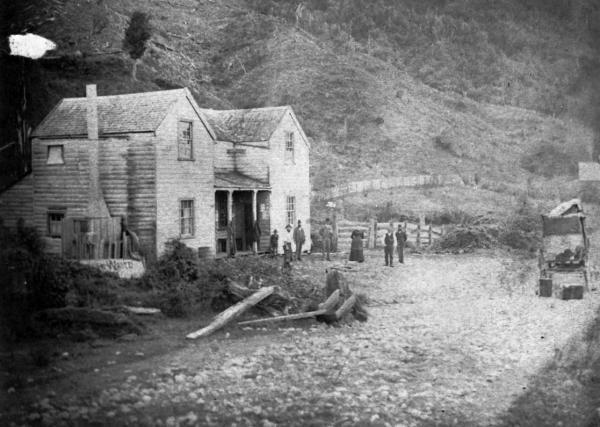 Charles and Joe would have been boys together at Paremata in 1880-1890’s. and also on the Maxim gun. Charles continued as a part time volunteer with the Wellington Guards, then the 5th (Wellington) Regiment where he was the Regimental Colour = Sergeant in 1914. At the outbreak of war Charles is listed as living in Johnsonville and working as a packer for Ballinger Brothers in Wellington. Charles sailed from Wellington on 12th August 1914 as 1/455 Warrant Officer Bould, B Company, 5th (Wellington) Regiment, Samoa Expeditionary Force. WO Bould returned to New Zealand on 22nd April 1915 where he elected to remain in the army, re-enlisting with the substantive rank of Regimental Sergeant Major. 10/4439 RMS Bould was hoping to be in the 2nd reinforcements of the Wellington Infantry and to be sent to Egypt and the Gallipoli campaign, but remained at Trentham until 1st April 1916. During this time at Trentham he married Emmie May (Queenie) Trezise on 28 December 1915. 10/4439 RSM Bould sailed from Wellington on the 1st April 1916 with B Company, 11th Reinforcements Wellington Infantry. The 11th Reinforcements sailed directly for France and 10/4429 Bould joined the 1st Battalion, Wellington Infantry on 17th June 1916. The New Zealand Division was in action on the Somme and it was during the attacks on the 27th September 1916 that 10/4439 WO1 Charles William Hensman Bould was reported to have been killed in action. Charles has no known grave and is commemorated on the Caterpillar (New Zealand) Memorial and also on the gates at Johnsonville Memorial Park. 10/4439 W0 Bould’s medals were sent to his wife Mrs E M Russell in 1922. Queenie had remarried in 1920. [v] Centenary of Porirua School 1863 – 1963.